2) Domenik Hixon-WR-Giants- In the Giants’ pre-season game vs the Panthers, Eli Manning, while forcing the ball in to Hakeem Nicks, managed to find Hixon five times for 86 yards. Adept at catching passes in the slot, he will be needed now that Steve Smith and Kevin Boss are gone. 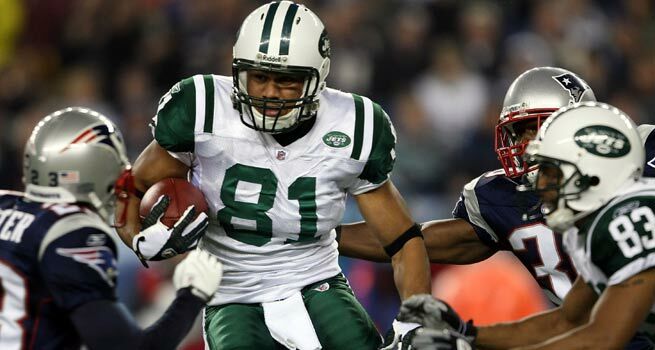 Although he’ll be battling Victor Cruz for the 3rd WR spot, Hixon has the edge as Cruz managed just one catch for 10 yds. in the same game. 3) Julio Jones-WR-Falcons- As soon as camp started, Michael Jenkins was released, moving Jones into the WR2 slot behind Roddy White. Matt Ryan has developed good early chemistry with the 6th overall pick in last year’s draft and he should be an outstanding sleeper candidate. 4) Brent Celek-TE-Eagles- Celek is just one season removed from 971 yds. and 8 TD’s. Michael Vick has said that the TE will be ‘more involved’ with him in what should turn out to be an explosive year for the 26 yr. old out of Cincinnati. With Jeremy Maclin just returning from his ‘mysterious’ illness and ex-Giant Steve Smith not joining the team until late October, Celek is primed for a true sleeper season. 5) Mark Ingram-RB-Saints- The 2009 Heisman Trophy winner is already off and “running”, scoring in his debut vs the Forty Niners on a 14 yard run. Although Sean Payton has always elected to implement a ‘committee-style’ backfield system, Ingram is locked in as the goal-line back and should garner upwards of 10 TD’s this season. 6) Felix Jones-RB-Cowboys- Now that Marion Barber is on the Bear’s roster, Jones is poised to have an amazing year as witnessed by his performance in the pre-season game vs the Broncos; 18 yard run and a 16 yard reception. All he needs now is for the offensive line to do a much better job than last year. A newly bulked up Jones is surely ‘sleeper worthy’! 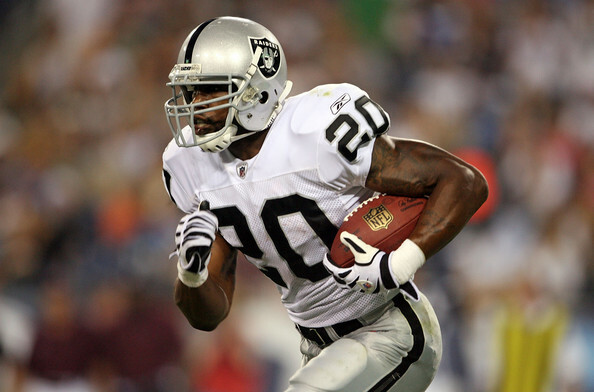 Darren McFadden-RB-Raiders- McFadden will prove to be a good back-end 1st round pick coming off of his 1157 rushing yards and 507 receiving yards on 47 passes last year. Best to take him, Matt Forte, or Maurice Jones-Drew and pass on Frank Gore who is too injury-prone to count on this high.